The nominations for the 23rd annual Screen Actors Guild Awards were announced on Dec. 14 at the Pacific Design Center’s SilverScreen Theater in West Hollywood. The ceremony will be held on Jan. 29 and broadcast on TNT and TBS. SAG-AFTRA represents more than 160,000 actors, announcers, broadcaster journalists, dancers, DJs, news writers, news editors, program hosts, puppeteers, recording artists, singers, stunt performers, voiceover artists and other professionals. The SAG Award, which made its debut in 1995, has become one of the industry’s most prized honors. The only televised awards show to exclusively honor performers, it presents 13 awards for acting in film and television. The awards focus on both individual performances as well as on the work of the entire ensemble of a drama series and comedy series, and the cast of a motion picture. These honors recognize what all actors know – that acting is a collaborative art. 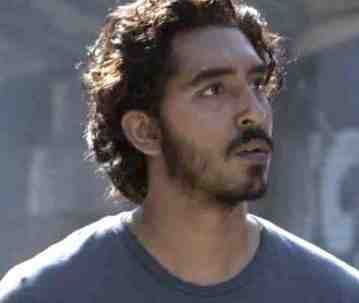 In the fact-based “Lion,” Patel (“Slumdog Millionaire”) plays Saroo Brierley, who was accidentally separated from his family in India at the age of five and was adopted by an Australian family, then searched for his long-lost family as an adult. 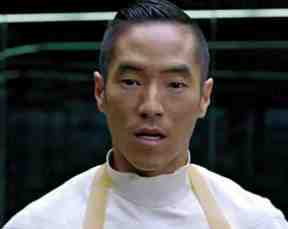 Outstanding Performance by an Ensemble in a Drama Series — HBO’s “Westworld,” whose cast includes Leonardo Nam (“The Fast and the Furious: Tokyo Drift”) as Felix Lutz. Based on the science fiction movie of the same name, the series features Ben Barnes, Ingrid Bolso Berdal, Ed Harris, Luke Hemsworth, Anthony Hopkins, Sidse Babett Knudsen, James Marsden, Thandie Newton, Talulah Riley, Rodrigo Santoro, Angela Srafyan, Jimmi Simpson, Ptolemy Slocum, Evan Rachel Wood, Shannon Woodward and Jeffrey Wright. 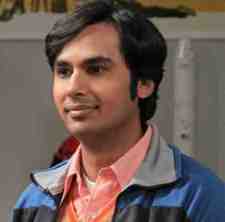 Outstanding Performance by an Ensemble in a Comedy Series — CBS’ “The Big Bang Theory,” whose cast includes Kunal Nayyar as Rajesh along with Mayim Bialik, Kaley Cuoco, Johnny Galecki, Simon Helberg, Jim Parsons and Melissa Rauch. Also Netflix’s “Orange Is the New Black,” set in a women’s prison, whose cast includes Kimiko Glenn (“Married”) as Brook Soso along with Uzo Aduba, Alan Aisenberg, Danielle Brooks, Blair Brown, Jackie Cruz, Lea DeLaria, Beth Dover, Annie Golden, Laura Gomez, Diane Guerrero, Michael J. Harney, Brad William Henke, Vicky Jeudy, Julie Lake, Selanis Layva, Natasha Lyonne, Taryn Manning, James McMenamin, Adrienne C. Moore, Kate Mulgrew, Emma Myles, Matt Peters, Lori Petty, Jessica Pimentel, Dascha Polanco, Laura Prepon, Jolene Purdy, Elizabeth Rodriguez, Nick Sandow, Abigail Savage, Taylor Schilling, Constance Shulman, Dale Soules, Yael Stone, Lin Tucci and Samira Wiley. For a complete list, visit www.sagawards.org. Hate to see him leave Hawaii five-0 but he has too. Wish him well.